New Yorkers take their dessert seriously. In Manhattan, several hyped-up sugary hot spots (such as the famed Serendipity 3) draw eager locals and tourists alike. For a real treat, visit one of these 5 top spots for the best dessert in NYC, for a mouthwatering welcome into the city's sweet-tooth scene. 1. Serendipity 3. This buzzing East Midtown mainstay has been the go-to for sweet-toothed kids of all ages for more than 60 years. Touting a family-friendly menu with cherry-on-top dessert indulgences, paired with wonderfully whimsical decor, there's a reason the line at this enjoyable establishment frequently stretches out the door. 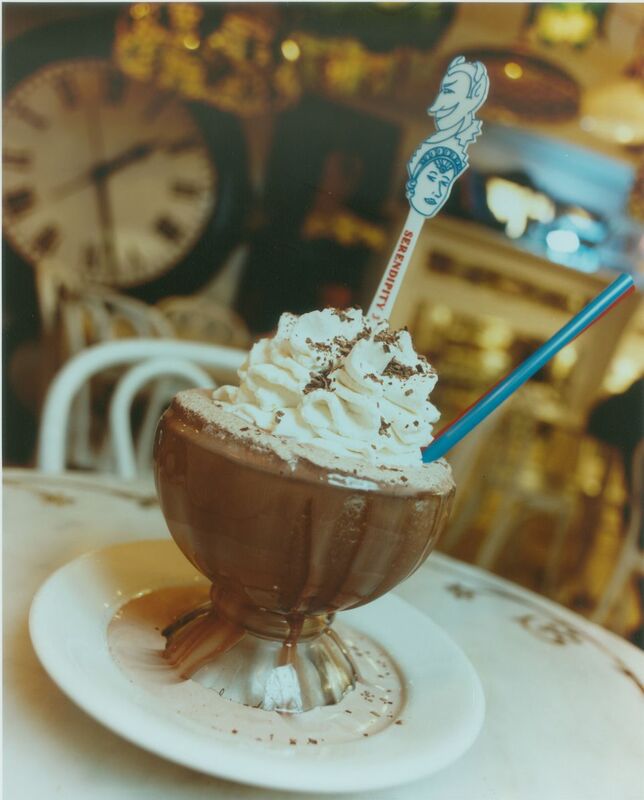 Whether the kids are in tow, or you're simply ready to feel like a kid again yourself, Serendipity 3 cheerfully answers the call. 225 E. 60th St., btwn 2nd & 3rd aves. 2. Cafe Lalo. Cafe Lalo isn’t your traditional dessert shop. The vast menu boasts over one hundred cakes and pies, not to mention brownies, cookies, tarts, fondue, mousse, shakes and smoothies, ice cream, biscotti, and a wide variety of traditional pastries and specialty dessert dishes. The small tables, exposed brick walls, and light jazz create a delightful atmosphere. The only problem? You might want to order everything. 201 W. 83rd St., btwn Amsterdam Ave. & Broadway. 3. Max Brenner. Stop by Max Brenner any time of day for a sweet treat. For breakfast, pick up Mom’s Bagel, a rich pastry oozing melted chocolate and peanut butter praline. On your lunch hour, why not wander on back for some Warm Chocolate Soup? Later on, if cooking dinner seems like a chore, just order Max’s Chocolate Pizza. For dessert, if you’re brave (and still conscious), tackle the Chocolate Mess, a dish so sloppy it’s eaten with spatulas. 841 Broadway, btwn 13th & 14th sts. 4. Chinatown Ice Cream Factory. This unique ice cream shop features strong, exotic flavors such as avocado, black sesame, durian (a fruit native to southeast Asia), and taro, as well as an assortment of more traditional flavors, non-dairy sorbets, and homemade toppings. With friendly service and affordable prices, this place beats Tasti-D-Lite any day. 65 Bayard St., btwn Elizabeth & Mott sts. 5. Magnolia Bakery. Buttercream frosting, rich, flavorful cakes, sprinkles, a cute flagship shop in the West Village . . . need I say more? Visit during the week to avoid long lines. Note there are additional outposts of the famed bakery now located in Bloomingdale's, Penn Station, Rockefeller Center, Grand Central Terminal, and on the Upper West Side. 401 Bleecker St. at 11th St.
Pinkberry vs. Red Mango: Which Is the Best Fro Yo in NYC?